One of DCNRHS' major projects is to professionally preserve and put on-line/digitize resources related to railway heritage from the Washington, D.C. area. The project, called the Digital DC Railway Heritage Project, includes professionally digitizing historic photos, timetables, information and stories, and other rail road ephemera. Some of the materials such as photos may also be made available for sale as reproductions. DCNRHS received a major boost for the project in 2012 with a grant from the NRHS to help defray the technology, archive, and digitization costs. 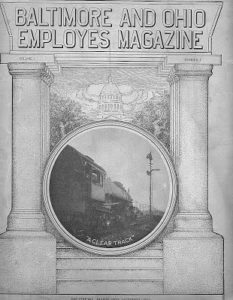 DCNRHS has a substantial collection of the Baltimore & Ohio Employees Magazine, which was printed monthly from 1912 to 1961. In addition DCNRHS has access to a private collection of the magazines. Together the collections comprise a nearly complete collection of these historic artifacts. Did you work for a railroad in the Washington, D.C. area (within 75 miles), or do you know someone who did? Please contact us. 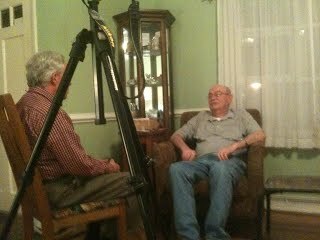 We would like to hear your story and consider it for inclusion in our oral history project.We are creating a digital video record of former railroaders and making it available on-line and for other educational purposes.